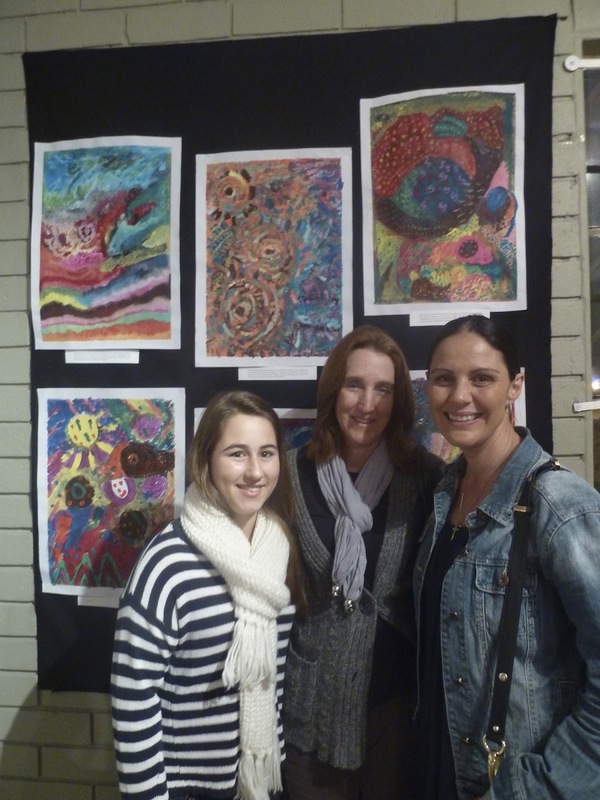 A look at an exhibition of works from an ART THERAPY course. Talvi Viikna(artist from the U.K.) holds the everyONEcounts card. 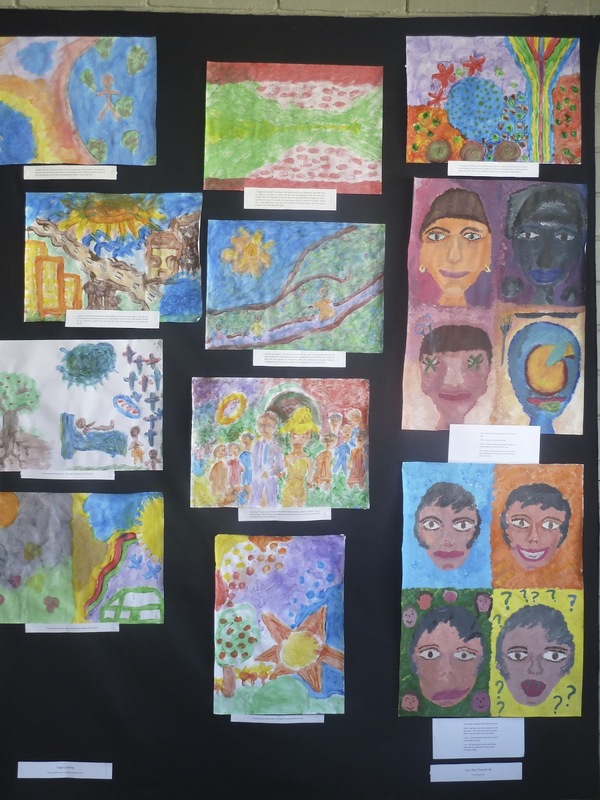 Myself and other members of the everyOnecounts team was recently invited to attend an exhibition based primarily on social workers artwork. These people work with victims suffering from being abused. Initiated by Talvi Viikna , an artist from the U.K., who ran an art therapy course with the social workers from the “Open Door Crisis Centre”. 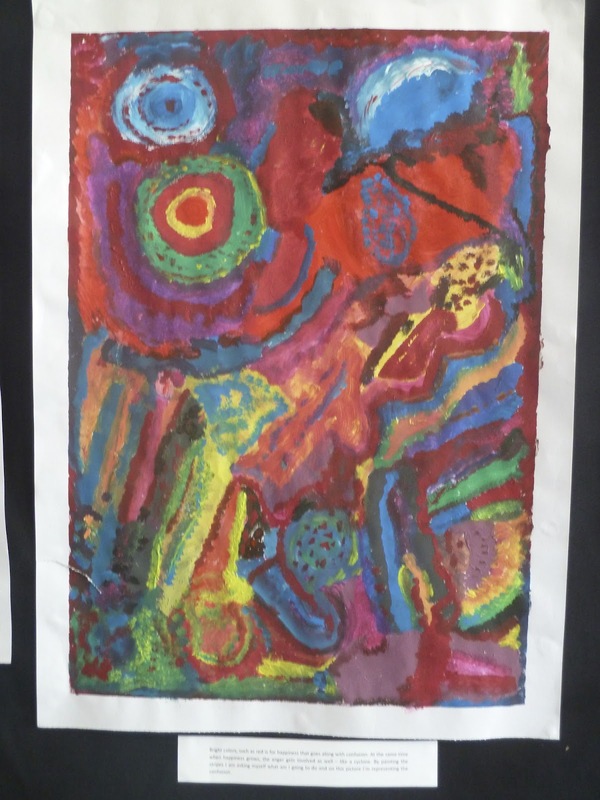 I was touched by the work produced and marvelled at the use of strong colour. I was so conscious of the colour being so vibrant in this exhibition perhaps due to the process of creating and the fact that someone was listening and seeing, it seemed hopeful. One of the artists spoke of red being a colour of hope and a colour of confusion. In that work, the question asked of him was, where was he going? The image aided towards a working out of this. Some of the works described emotions whilst others described stories from the participants past. Interesting was one works observation that the biggest obstacle was “me”, themselves. An intimate evening was spent sharing around the realities of managing trauma related to victims of human trafficking. Angela McCall, in the absence of Lara Mellon(founder of everyOnecounts), shared on the latest campaign being about bringing awareness about human trafficking through visual art. 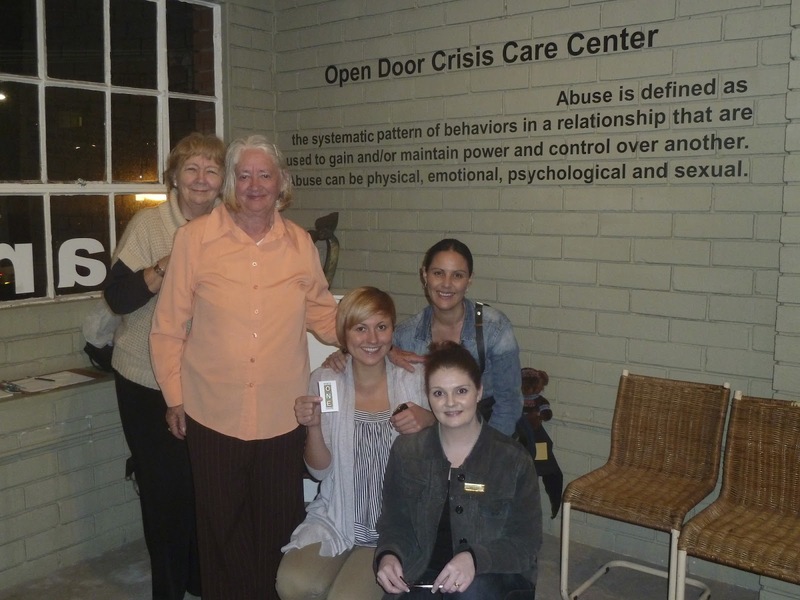 Open door Crisis Centre will be one of this new campaigns beneficiaries. 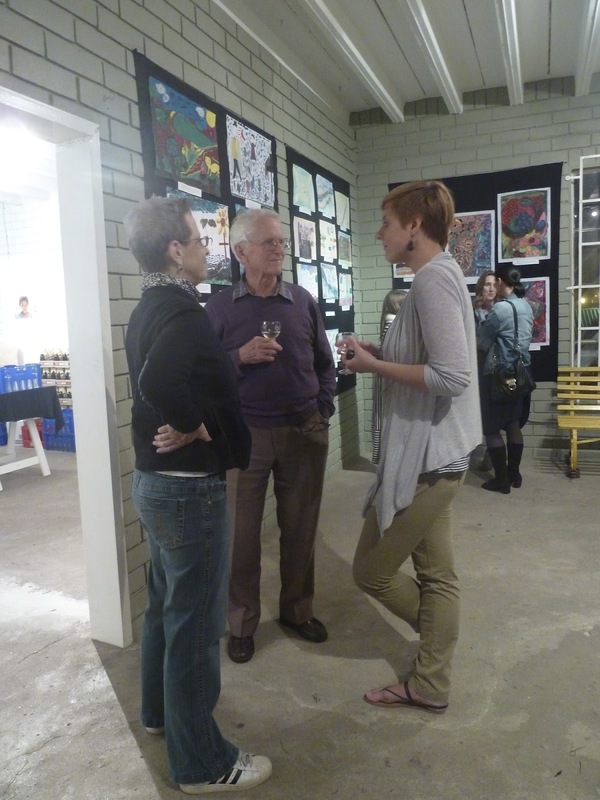 Gallery owner, Karin Bradke, chats to Telvi and Norman Hudson. (left). 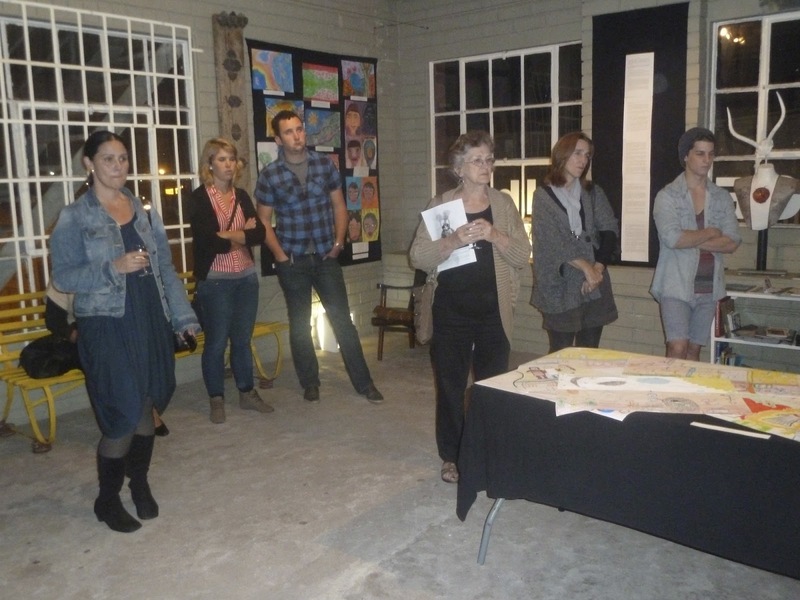 The exhibition took place at Artspace galllery http://artspace-durban.com in Umgeni Road.